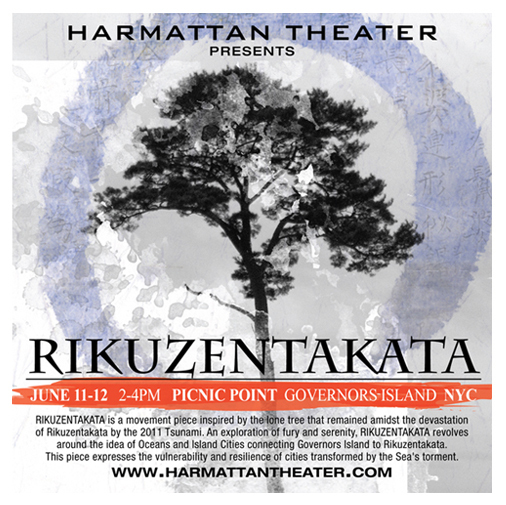 RIKUZENTAKATA is a movement piece inspired by the lone tree that remained amidst the devastation of Rikuzentakata by the 2011 Tsunami. An exploration of fury and serenity, RIKUZENTAKATA revolves around the idea of Oceans and Island Cities connecting Governors Island to Rikuzentakata. This piece expresses the vulnerability and resilience of cities transformed by the Sea’s torment. April 18, 2011 | Filed under Archive.